Tall, dark, and dangerously handsome, Zane 'Tracker' Colter is the strong, silent type of tattooed muscle biker who drives women wild. 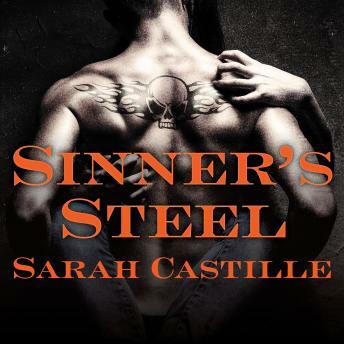 But as a master of strategy for the outlaw MC club, Sinner's Tribe, he doesn't have time to play around with groupies and biker chicks-especially when he can't stop thinking about Evie, the girl who got away . . .
Evie's been in love with Zane ever since they were children-until he broke her heart and disappeared. Now he's back in her life, bigger and badder than ever. Zane is stunned by how beautiful and confident Evie's become, using her artistic talent to customize motorcycles. He wants her so bad, he'd ride through fire to win her back. There's one problem: Evie is dating his deadliest rival-the leader of the Black Jacks-and if Evie and Zane hook up, there'll be hell to pay . . .Contains mature themes.